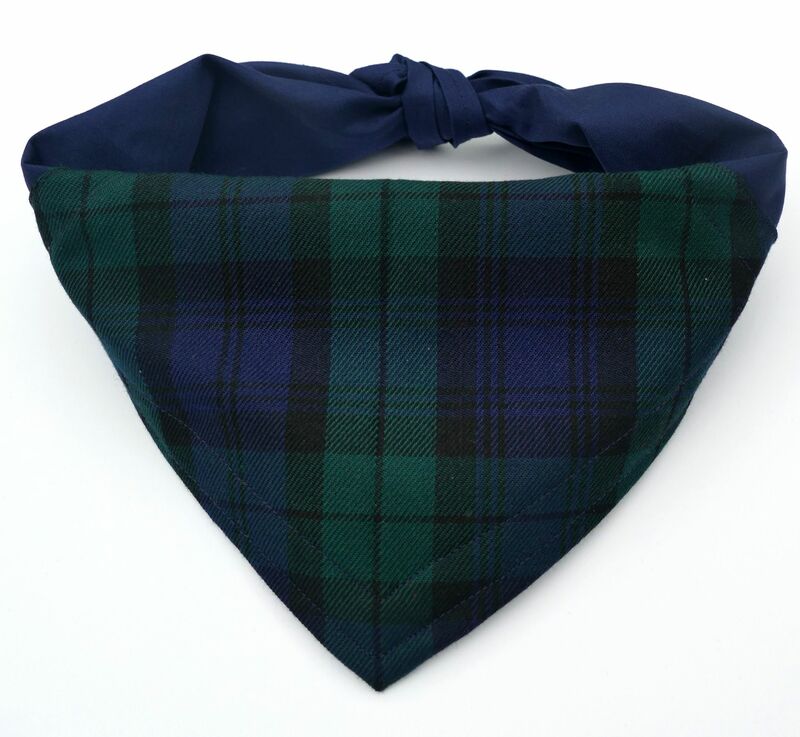 Great quality Black Watch Tartan dog bandana, a perfect accessory for weddings and other formal occasions, but practical enough for walks in the country! 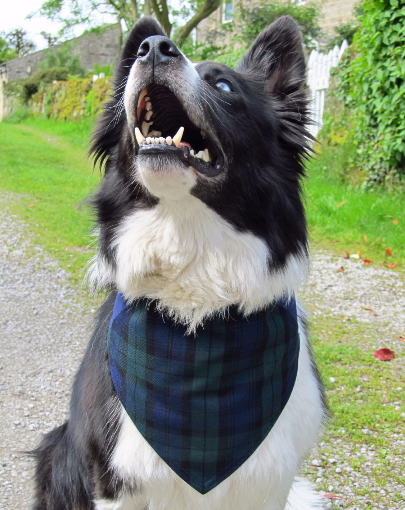 This is a super smart Blackwatch tartan dog bandana. 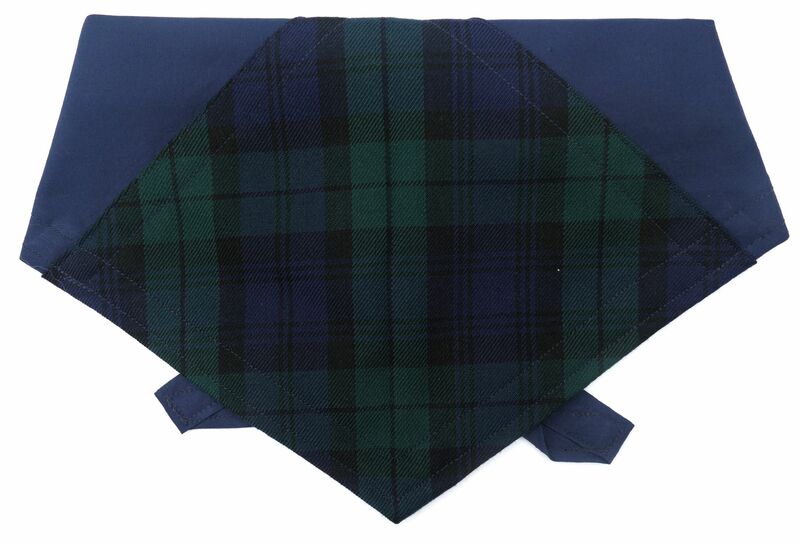 The tartan is a central panel, beautifully complimented by navy blue sides and ties. This a totally stunning design and is suited to any occasion, no matter how formal! Ideal for weddings, parties, Hogmanay, and everyday wear! Your dog can join in with your event and look super-stylish! The sides / ties are made of navy blue 100% cotton fabric. The centre panel is a beautiful Blackwatch tartan which is a polyester viscose mix, making it highly serviceable and washable. This bandana is really special, beautifully finished and top-stitched. 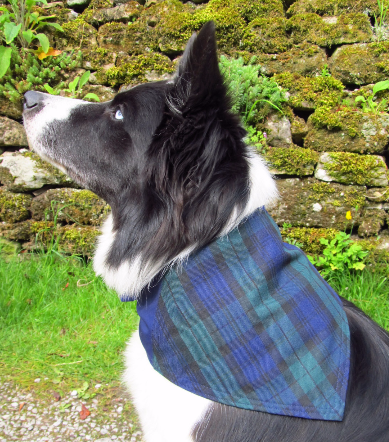 Dudiedog bandanas are available in 7 sizes to fit all dogs! "Lovely quality cotton as always and a lovely thick piece of black watch tartan. Looks very smart on!" A super smart panel style Pink Tartan dog bandana, equally suitable for formal occasions, weddings and parties, and walks in the country/town! 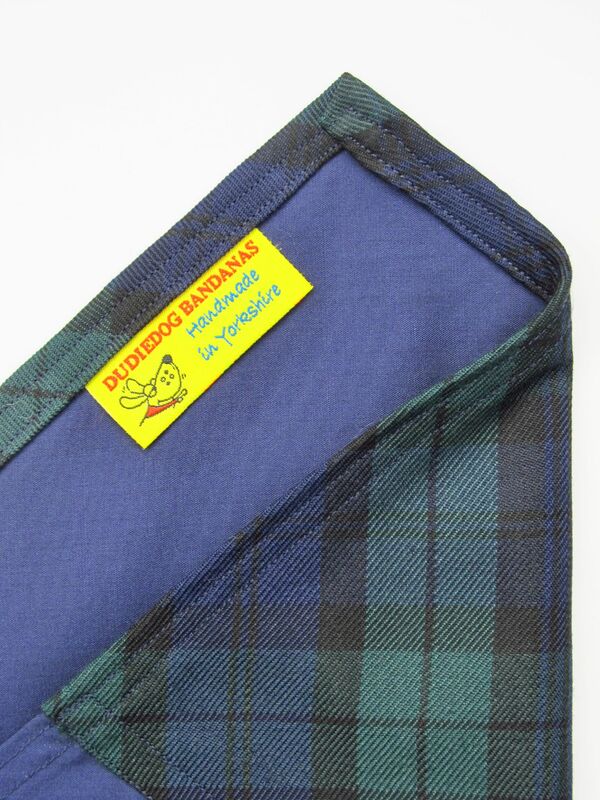 A super-smart Royal Stewart Tartan dog bandana, suitable for the most formal occasions, but practical enough to wear every day! Dudie HQ - Dudiedog Bandanas, Manor Cottage, Brook Street, Hebden, Skipton, North Yorkshire, BD23 5DQ.